Don’t know if you know this, but wool does not carry a flame. It is naturally fire resistant. Once in awhile we get rugs with fire damage. 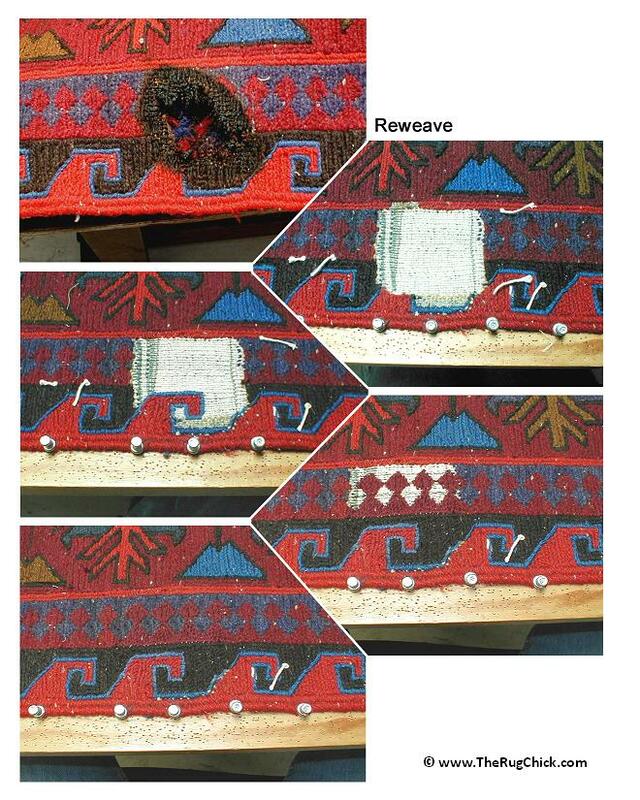 With soot, smoke, ash, we can give the rugs a bath and remove much of the damage to put the rug in “pre-loss” condition. This is the handy work of my mother Kate, a weaver, and the founder of our facility in San Diego. We have a repair team on staff to handle everything from the usual suspects (torn fringe from a vacuum cleaner to be replaced) to the more difficult projects like this fire damage order from the wildfires in San Diego. When you have a home that has gone through the emotional devastation of a fire, and you’ve lost about everything, being able to save one thing… one piece of your former home… means a lot. So when we can make a small miracle with a rug like this, it creates one of those really happy moments in a company – when you know you’ve made a small difference in someone else’s world. At our plant at San Diego Rug Cleaning Company, we love rugs. But we also love people, and it’s that mix that creates success in any business because it’s a mix that makes a difference.